The Memorial Day weekend always brings with it an air of nostalgia. The anticipation of summer is seemingly over and fun-in-the-sun begins. Highways, byways, and paths unknown are flooded with likeminded beach goers trying to avoid relentless traffic jams. I’ve been that traveler many times, headed to a sandy shore with one hundred gazillion more people. Not this year, however. This year was different. 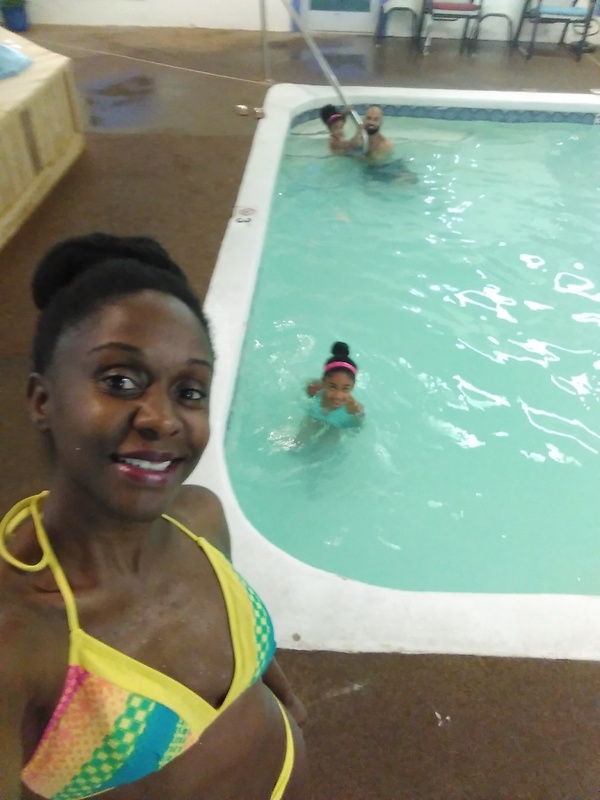 While many others enjoyed crowded spaces on beach shores, my family and I opted for a more serene environment with strong adventure thrown about. First… we needed a temporary home. Last minute trip ideas can be lackluster at any point but especially during holidays. Hotels will charge you an arm and your soul for a night’s stay if you are able to get a reply beyond “I’m sorry, we’re sold out.” It takes a certain social status to afford the rooms that are available. Too bad I’m not Beyonce! Courteous staff, orderly landscaping, and a playground were the welcomes that prefaced settling into our unit. The unit could use some serious updating but sufficed for the amount of time we planned to spend indoors. We viewed two but chose the one with the highest elevation, aka best view. So majestic! I could wake up to that view daily! 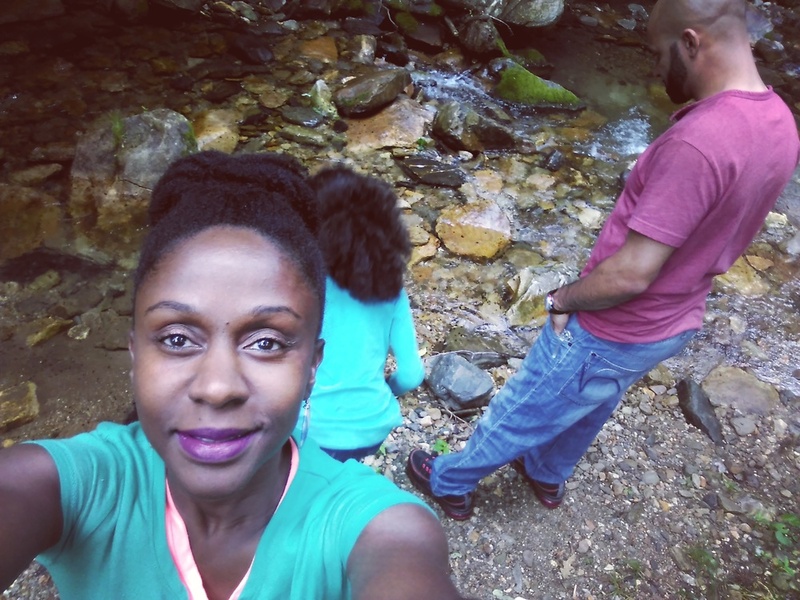 Our lust for adventure led us to the Linville Caverns, Linville Gorge, and Linville Falls. 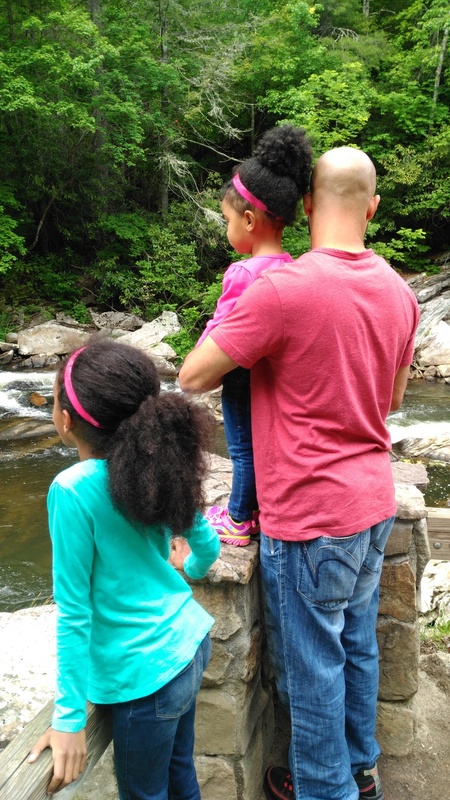 This was our daughters’ first time visiting the mountains. Entering the mysterious cave was like an early primitive Halloween experience for them. The oldest was thrilled but the youngest was over it when she had to put her cookies away. After the caverns, we walked to a nearby creek. Our curiosity then led us, unpreparedly, onto rough terrains, forcing our vehicle up the mountain to prove its tenacity and earn its place in the family for good. The higher we climbed, the more tumultuous the ride became. Fear caused me to push my feet intensely into the floor boards and lose circulation in my legs! Some hills were so steep, we couldn’t see over them. It was as though you were driving right over the side of the mountain! Yet, we held our breath, prayed to God, and pushed the gas pedal. Well… Johnny was driving and pushing the gas; I was playing passenger seat driver and pushing my imaginary brakes every time a steep hill caused my heart to skip beats! We made it to the top, reveled in the beauty of God’s artwork, and then headed back down the mountain to the falls. On the way we passed hikers and campers. I slightly envied their bravery and outdoor freedom. Then my loathing of bugs and my allergy to mountain lion bites brought me back to reality! I do want to camp but I’m more of a glamper. Grandfather Mountain showed us a fun and adventurous time (as always). Our Memorial Day weekend was just what we wanted it to be. There’s so much more to do/see and we CAN’T WAIT to experience it all!